The UK’s Jockey Club is a partner in the scheme, which has a very real and literal royal link in the shape of Peter Philips, the grandson of Queen Elizabeth II of the UK. With this strong pedigree, the group behind the proposed city center races, City Racing, believe they can give horse racing the sort of shot in the arm and appeal to younger audiences that 20/20 has given to cricket. 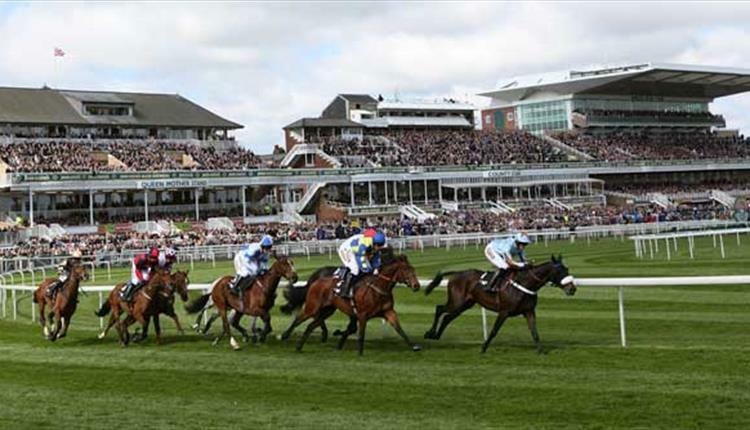 Trials for the scheme have started close to one of the world’s most famous race course, Aintree, just outside Liverpool, home of the UK’s favorite annual flutter, the Grand National. Horses have been pelting around a former motor racing circuit on the site, testing out a ground-breaking new surface based on current all-weather surfaces, and promising to deliver safe, portable race courses. In the crowd were representatives from some of the possible destinations for this travelling track. Business and civic leaders from South Africa, Dubai, Saudi Arabia, Australia, and Las Vegas looked on. Las Vegas is already slated as one of the first venues for City Racing to stage real racing in 2019. It’s a natural fit, of course. Vegas is the gambling capital of the world and still one of the few places in the United States where it is legal to bet. Alongside the mile after mile of the world’s best slots that wink away in the casinos, sports betting has been a popular part of the Vegas scene since the city in the desert was created almost out of nothing in the 1940s. However, Las Vegas does not have a race track. There was a short-lived attempt to set one up under the Las Vegas Jokey Club in 1953, but the course was doomed from the off, and its story is something of a scam. The tension between the law and betting in the United States has been a prominent part in the story of horse-racing there. Organized crime was heavily involved in setting up off-course betting operations, fed results by “wire services” that were rife with cheating and cons. Gamblers in Vegas can enjoy wagering on horse racing, but they have to watch big screens in casinos, where meetings from around the world are beamed in to the 24-hour city. City Racing aims to set up a travelling circus of horse racing something like F1. Star jockeys will travel from meeting to meeting riding locally trained horses. The meetings will probably involve six five-furlong races. These are the shortest distances commonly run in racing. The races will be flat – with no jumps – sprints. Eight riders will compete. The meetings will aim to be a visual spectacle. Among the venues being considered are The Mall, in London (with the Queen watching from Buckingham Palace) and the Champs Elysees in Paris. Racing has done well as a spectator sport in the UK in recent years. But it is linked with traditional venues – often out of towns – and traditional behaviors, betting and drinking, that youngsters might be resistant too. This is an attempt to open up to a new crowd: “the millennials, a young urban audience for whom racing would not figure on the leisure time,” according to the Jockey Club. Twenty Twenty cricket has revolutionized the presentation of cricket, making it a global television phenomenon and a major new betting market. City Racing say they aim to emulate the popularity of the short-form game of cricket by throwing in a load of entertainment between the races and after the final tape has been broken. The first problem for the new group was to find a way that thoroughbred horses, who are notoriously prone to injury, could run on the hard surfaces in most city centers. The answer is a mixture of wax, sand and fibers of the sort that is already used to provide all weather surfaces that are called into action when weather conditions put grass out of action. It took 3,000 tons of the substance to prepare the ground for City Racings Aintree trials. So far, two star jockeys, Sean Levey and Danny Tudhope, have been named as riders. Finding the right characters to lead the field and to generate the right sort of media coverage could be the key to making this latest gamble a winning bet for one of the oldest sports in the world.